Liquid damage, not detected, damaged controller, firmware problems. 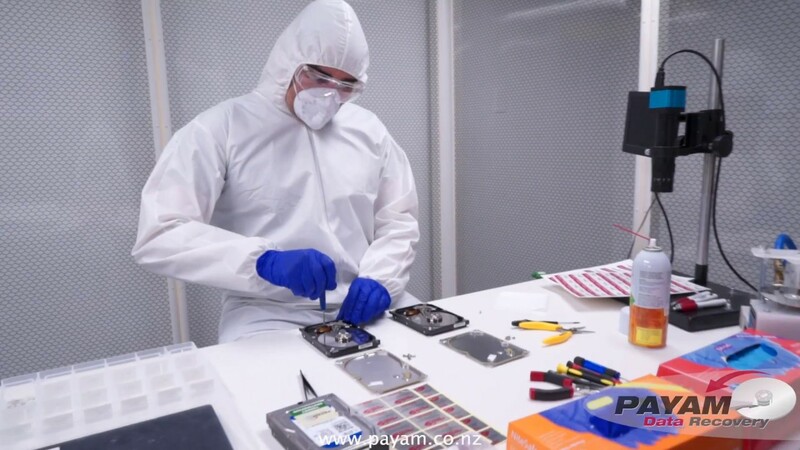 Payam Data Recovery is New Zealand's best data recovery company. Specialising in faulty, damaged or failed Hard disk drives, Solid state drives, RAID arrays and NAS units of all brands with any kind of problem. I absolutely loved dealing with everyone at Payam the process was super-efficient and professional and all my data was recovered! My computer was drenched in water and I thought I would have had to pay a fortune to retrieve everything but i was given a reasonable price and quick recovery time. Thank you so much again, really saved me!! Thank you to the team of data recovery specialists at Payam. After much despair from seeking recovery services elsewhere and being told my data was unrecoverable, I sought out Payam. Wished I’d gone there first. They were able to recover all of my irreplaceable valuable information (documents, photos, music files etc) which I thought had gone forever. Very reasonable price too. Excellent work and would definitely recommend Payam to anyone needing their valuable data recovered. I will shout it from the roof tops as to how happy I was with my experience with you. I had lost data from two USB’s which had graduation photos, overseas trips and my father in law who has since passed away. I had been to three other companies who did not want to know me but fortunately one put me onto you. Your staff was very professional friendly and extremely helpful. The great news is that all photos and videos were retrieved to my absolute delight. Thank you ever so much. I have already sung your praises to my friends. I couldn’t be happier with the work data recovery done! I thought I had lost my photos for ever & data recovery brought every one of them back!! Thought we’d lost 16 years’ worth of our family photo’s…so relieved and extremely happy Payam recovered 100% from our ‘dead’ HDD. Highly recommend Payam’s professional service, keeping us informed along the entire process. Payam Data Recovery is open Monday to Friday, from 8:30am – 5:30pm. We have the most state-of-the-art data recovery lab in New Zealand, with the best technology and most advanced methods to get your data back when others can’t. Open Monday to Friday. 8:30am – 5:30pm.